In more or less 10 minutes time using the subway you will bew able to reach one of the largest Gothic cathedral in the world, Milan´s Duomo has a population of 6,000 statues, a solemn and lofty interior resembling a sequoia forest, giant multi-colored stained-glass windows and works of art to make any museum green with envy. It´s the seat of the one and only Roman Catholic diocese which - following its patron, Sant´Ambrogio still keeps to an ancient calendar of its own. Which is why Milan is still going wild with its Carnival when the rest of the world has started Lent. Take a walk outside, around the back of the enormous church, your nose pointing skyward to admire the interplay of pinnacles and buttresses. A very characteristic district, once the town´s port. Strange as it may seem today, till 1928 Milan was penetrated, even close to the center, by canals - or Navigli - and barges. Like in any other town, Milan´s port was a lively place, with occasional seedier overtones. Ticinese is still a working-class district, although smart shops, restaurants and cafés now abound. An exceptional church, San Lorenzo, is located here, with original Roman columns still standing in front of it. Piazza Vetra (o piazza delle due basiliche) connects San Lorenzo to the equally splendid church of Sant´Eustorgio. If you keep walking, about a hundred meters towards the suburbs, you reach the Darsena (Basin) and the external Navigli - these, picturesquely, still full of water. It is an animated area too, where people hang out after dark, come for a drink, to have an ice-cream or listen to live music. Is a spectacular fortified palace built by the Visconti and the Sforzas, Signori of Milan, who held sway over Northern Italy between the late Middle Ages and Renaissance. The Castle was extensively renovated around 1900 to house museums and libraries. Particularly outstanding is the art gallery, or Museo d´Arte Antica, containing both paintings and sculptures. Its exhibits include the Rondanini Pietà, last and perhaps most moving masterpiece by Michelangelo. Dedicated to Ambrose, Milan´s patron saint, this basilica is a typical example of Romanesque architecture of the first centuries after 1000 AD. A 19th century district flanking a street - Corso Magenta in fact - that has existed on this site since the times when Milan was capital of the Western Roman Empire (3rd century AD). A short walk towards the suburbs brings you to the Renaissance church of Santa Maria delle Grazie. It was in the convent here that, between 1495 and 1497, Leonardo da Vinci painted The Last Supper his most famous and largest work. The visit lasts 15 minutes. The shuttle bus is heading to the Central Station. The ride will also take you about 45 min and the price is approx. You can take the shuttle bus heading to the Central Station. The ride will take you about 20 min and the costs are approx. 3,00 EUR. From Bergamo Airport you should take the shuttle bus which is heading to the Central Station. The ride will take you about an hour and will cost you about 8,00 EUR. The tickets you can get on the counter in the airport. Originally the private museum of a wealthy Milanese gentleman art-collector, Gian Giacomo Poldi Pezzoli, the museum conserved this characteristic when the owner left the city of Milan on his death in 1878. The museum is housed in the 17° century Porta building, which was mosified in the following century. The 22 showrooms occupy both floors and the collection inclused great Italian 14th and 17th century paintings. In addiction there are other collections of art objects including: jewellery; enamels; china; furniture; tapestries and armour. The paintings include works by Botticelli, Piero Della Francesca, Mantegna, Pollaiolo and Guardi. Open: 9.00 a.m. - 12.30 a.m.
Saturday closing: 7.30 p.m. - Closed Mondays. (from April 1 to Sept. 30 closed Sunday afternoon). It was founded between 1947-53 in order to make known the origins and development of scientific theories and technological progress. The various sections occupy 3 buildings: the one dedicated to aeronautical and rail transport is monumental. On the first floor there is Leonardo´s Gallery with the great artist and inventor´s ingenious medels and original sketches. A reproduction of Leonardo´s famous self-portrait, engraved on plate-glass, welcomes visitors at the entrance. Recently, educational laboratories have been opened. The Railway Pavilion at the "Museo della Scienza"
With 28 sections, from informatics to motors of astronomy, 40.000 mq. of expositions, and a big wealth of 15.000 exhibits, the Museo Nazionale della Scienza e della Tecnica "Leonardo da Vinci" of Milan is one of the most important technologic-scientific museum of the world. The Museum presents a particular path that bring us in an happy period of the Italian artistic history: the Renaissance and its great men, among them Leonardo da Vinci, who more than others could join the concept of "art-science-technology" concept that during the centuries is disappeared with the predominance of an art on another. To the genius of Leonardo engineer and scientist, is dedicated a big gallery, where there are not only the models of Leonardo´s machines, but also numerous frescoes of XVI and XVII century, among them also a replica of the "Ultima Cena". Open: 9.30 a.m. - 4.50 p.m.
Sat.Sun. 9.30 a.m. - 6.30 p.m. Closed Mondays (not holidays). The seat of this museum is in a building erected by the architect Giovanni Cerruti in 1893, in Neo-Romanesque style, with a profusion of ornamental terracottas. It is situated in the area of the Public Gardens, near the Planetarium. It was founded in 1838 when the Milanese nobleman, Giuseppe De Cristoforis and the professor of botany Giorgio Jan donated their naturalist collection to the Municipality of Milan. One of the directors of the Museums was the renowned geologist Antonio Stoppani (monument to the right of the building). Rebuilt after the devastation caused by war-demage, the museum has sections dedicated to mineralogy, geology and paleontology; zoology of vertebrates; entomology and botany. The reconstructions of the various natural environments are of special interest. Open: 9.30 a.m. - 5.30 p.m. Saturdays and holidays: 9.30 a.m. - 6.30 p.m. The impressive 17th century baroque Brera Palace, once a Jesuite college, now houses the Academy of Fine Arts, the Picture Gallery, the Brera Gallery, the Astronomical Observatory and the Botanical Gardens. a grand staircase leads up to the Gallery, which occupies 38 showrooms. Bellini (Pietà); Raffaello (Sposalizio della Vergine); Caravaggio (Cena in Emmaus);Veronese (SS. Antonio, Cornelio e Cipriano); and Tintoretto (Miracolo di San Marco). Open: 9.00 a.m. - 5.30 p.m. Holidays: 9.00 a.m. - 12.30 a.m. Built in Liberty style by the architect Sebastiano Locati for the International Exibition held in Milan in 1906, the building was partly destroyed by the 1943 bombings. It was rebuilt in the same style and a few years ago the interior was modernised. In the numerous tanks frsh-water and marine fish are on view, together with various species of reptiles, amphibians and invertebrates. There is also a hydrobiological station. Videothèque open to the public 9.30 a.m. - 5.30 p.m.
Milan is known as one of the most stylish and chic cities in Europe, if not the world. The capital of fashion, its Golden Quad is the place to be and be seen in the world of design. If you’re in vogue then count yourself ‘in’ in Milan. Couple this with its great Italian food, and the fact that it’s home to da Vinci’s ‘The Last Supper’ as well as many more great tourist attractions, it is well worth a visit. Fiera, the renowned trade venue, is also found in this city, making it extremely popular for the business traveller. Whatever your reason for visiting Milan, there is something for everyone, and all this is supported by a great network of good hotels, making it the perfect destination. The airport is located 30 miles/ 48 km from central Milan. The airport is located 4 miles/7 km from central Milan. Most regional and national trains will arrive at Stazione Centrale. Milan also receives a high number of international arrivals, and night trains can be caught to various locations around Europe. Milan does not have a main coach station, so coaches may arrive and depart from numerous locations. Walking is a good idea in small sections of the city, but for those planning to take a wider look at Milan, public transport is advisable. Operating times are between 06:00 and 01:00 (02:00 at weekends), although times may vary slightly according to each individual line. There are nearly 20 different tram routes, which cover all the major points of interest in Milan. Operating times are between 06:00 and 00:30. Buses are a good way of travelling to places which are not accessible on the underground, but journey times tend to be longer. There is a night bus service which runs for 2 hours or so after the underground and trams finish. The Public transport system is operated by ATM (Azienda Transporti Milanesi) and is integrated. Tickets are valid on all forms of public transport. Single Urban Ticket: cost 1.00€; valid for 75 minutes from validation time; allows one journey only. Carnet of 10 Single Urban Tickets: cost 9.20€. Daily Urban Season Ticket: cost 3.00€; valid for as many journeys as required throughout the day; ticket only needs to be validated once. Two Day Urban Season Ticket: cost 5.50€; valid for 48 hours; ticket needs to be validated once and can then be used as often as required. All tickets must be validated in the machines provided before use. Housed in The Church and Convent of Santa Maria delle Grazie, this famous painting is extremely popular and has undergone much restoration work; the most recent attempt aiming to recover as much of da Vinci’s original work as possible. One of Milan’s most famous monuments, the castle has seen much history that is both extravagant and dramatic. With numerous exhibitions based around art, archaeology, and history of the site, there is much to do. Don’t miss the rooms decorated by Leonardo da Vinci. One of Milan’s most spectacular structures, the Duomo dominates the landscape with its ornate towers. Visitors have the chance to climb the tower, and experience amazing views across Milan. It is advisable to dress modestly when visiting, as entry may be refused. The home of AC and Inter Milan, the San Siro is world famous, and is held in high esteem in the Italian football world. Visitors have the opportunity to tour around a museum dedicated to football, which contains the classic trophies won by both clubs and memorabilia of some of the world’s greatest players. Times will vary on match days. This museum contains many collections from paintings to archaeology, jewellery, fabrics, and sculpture. Definitely worth seeing is Sandro Botticelli’s ‘The Virgin and The Child’, also known as ‘The Madonna of The Book’, as well as his later masterpiece, ‘The Dead Christ Mourned’. Modern, trendy restaurant located above the designer furniture show room of Marco Gorini. Advance bookings are recommended, and be prepared to splash the cash. Restaurant which serves up a good seafood menu, and is extremely popular with the locals. An average meal will cost around 35.00€ per person. This family run restaurant has served up traditional Italian food since 1933, and is definitely a Milanese tradition. Haute vegetarian cuisine is served at this restaurant, which has an interesting menu containing dishes called things like ‘Yes Borders, No Barriers’, ‘Blub’, and ‘A Stone Rolls’. All dishes are prepared under the guidance of Pietro Leemann. The restaurant is open Monday to Saturday from 12:00 to 14:30 and 19:30 to 23:30. Main courses will cost from 22.00€. When in Milan, do as the locals do and indulge in an aperitivo. Exploit offers one of the city’s best. Simply buy a drink and enjoy the free buffet of olives, focaccia, and other tasty Italian treats. Aperitivo is normally served between 18:30 and 21:00, but it is best to check before you go. This bar is truly cool, with everything made from ice. Only serving Absolut vodka and mixers, it makes for a unique night out. Visitors are advised to book in advance where possible. Each visit is limited to 30 minutes. Closed on Tuesdays, this bar is famous for its cocktails. Chandeliers and plush décor make for a sophisticated setting in which to enjoy your Negroni Sbagliato. Indian style bar and restaurant, with rooms such as the Shiva room and Ganesh room. Food and drink has an Indian flavour and is all served up in the plush, exotic surroundings, giving the place a sultry feel. One of Milan’s most popular clubs. Dress to impress for this place, its clientele are models and footballers. This club opens at 22:30, but remember it’s always fashionable to be late. Oozing sophistication and elegance, this piano bar comes complete with Bonsai trees, antique lamps, and Persian carpets. Has a great intimate atmosphere and good drinks, which make for a satisfying night out. Renowned as one of the world’s most famous theatres. Home to the Orchestra Sinfonica di Milano Giuseppe Verdi, the concert hall seats 1,400 people and is used for classical concerts, choral music, and jazz recitals. Here you will find avant garde productions, with an emphasis on producing and research. From dance to drama, there is much on offer. This theatre shows quite a lot of musicals and concerts, especially mainstream artists, and West End style productions. This is Milan’s saint’s day and is popular throughout the whole city. Its main feature is the number of stalls which line the streets. Traditionally this also marks the start of the season at the Teatro alla Scala. Takes place on 7th December each year. One of the longest parades in the world with many interesting floats, all concentrated around the Piazza del Duomo. A good atmosphere and fun crowd always prevails. Ends on the first Saturday in Lent. This theme park has over 40 attractions and live shows, including amazing stunts. There is much to do for all the family including a flume ride, go karts, and a 4D movie. Entry is FREE, attractions are priced individually. Biggest theme park in Italy, with many attractions to keep the whole family entertained. Includes a live dolphin show, 4D show and much more. Closed January to March and November. Children are classed as those who are over 1 metre tall, but under 10 years old. Has over 100 species of sea and marine life, as well as extensive gardens containing fountains and reconstructions of traditional Italian environs. Large museum containing the ingenious designs of Leonardo da Vinci, as well as other exhibitions and displays dedicated to technology. 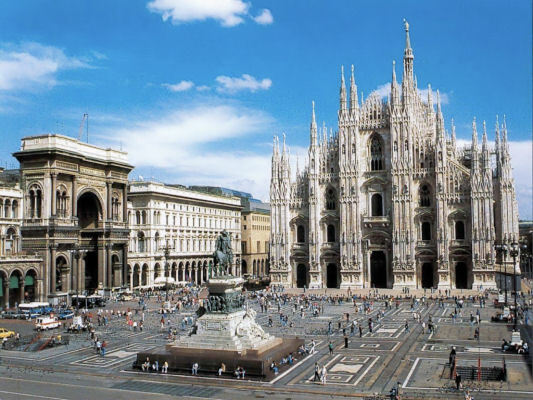 For those lovers of designer fashion, Milan oozes with style and sophistication and is the place to be and be seen. Designers who have made it in Milan, have truly made it in the fashion world and the streets buzz with fashionatas all searching for that unique designer outfit to compete in the fashion stakes. Located in the Duomo area, bordered by Via Senato, Corso Venezia, Via Montenapoleone, and Via Manzoni. Here are the exclusive boutiques and show rooms of Prada, Gucci, Armani, Valentino, and Chanel - to name but a few. Has designer clothes at a fraction of the price, plus other good quality fashionable products. Small outlet store selling a range of clothing for children, men, and women. This is the outlet of Maxmara, and offers some good deals. There are also numerous designer outlet villages located around 60 minutes from Milan, such as the McArthur Glen Shopping City. It’s also worth noting that end of season sales take place during January and July. This is when the boutiques and designer stores change their collections, and prices are dropped significantly. 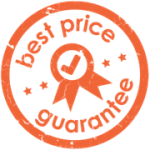 Great for ´alternative´ shops, as well as home wares and second hand clothing. Great for shops like Kookaï and Benetton, and happens to be the longest shopping street in Milan. Bohemian is the name of the game here, and the old fashioned streets, having survived the test of modernity, offer some great boutiques and antique shops. There is quite a prominent gay scene in Milan, and a good place to find bars is on Via Sammartini, just behind the train station. Hosts a popular gay night on Thursdays. Busy bar with a relaxed atmosphere. Offers a good happy hour at the weekend, with reasonable drink prices. This club opens from 22:30 Wednesday to Monday. Saturday nights are women only, while Wednesday is a mixed gay night. The remaining nights of the week are disco nights with no set target group. Popular gay club with a range of nights, from tango dance nights to disco nights, as well as regular cabaret shows. Closing times vary, but on Fridays and Saturdays it is usually 04:00. Takes place annually in June. A week long series of events, centred around films and videos of all genres, by or about gays, lesbians, bisexuals, and transgendered people.